In the fall of 2010 we ran a contest through our SOUND OF MUSIC Facebook page to give away a trip for two to Salzburg Austria, the location where the movie and stage musical takes place and where the movie was filmed 46 years ago. Our lucky winner Nichole Gordy just got back from her trip where she toured Salzburg and saw the first ever production of THE SOUND OF MUSIC in Salzburg at the Salzburg Landestheatre. Read about the trip in Nichole's words below. Check out photos from Nichole's trip here. The first day in Salzburg we got lost. Go figure. I do months of planning and I'm so organized, but I still manage to not be able to read a map correctly. We took a right out of the hotel instead of a left. We found the mall though…I told my friend Emily, we flew thousands of miles to go to the mall. lol. It was late and we were very tired from the flight, so we shopped and grabbed a bite to eat. Our hotel, the Salzburg Sheraton was lovely. 5* indeed. The staff was very helpful in telling us how to get to a few places and never once laughed at my southern accent. We showered and called our families and fell fast asleep. Our first full day started with the Sound of Music tour with Panorama Tours. Our guide was very funny and very informative. We started in the city of Salzburg and then made our way through the lakes and mountains. It was gorgeous. Little cottage type houses surrounded by the greenest grass I have ever seen and with the back drop of the snow cap mountains. It was something straight out of the movies, really, it was. I wanted to stay outside; it was cold, but there was something about the city of Salzburg and the surrounding area that just made you want to be outside. Being from the South, you don't really get to feel that kind of cold. When we got back from the tour, we took a stroll in Mirabell Gardens. It was amazing! Flowers blooming, green hedges, perfectly sculpted. Being on the “Do-Re-Mi” steps just made you want to hop on them and sing. Everyone does it. It's iconic. It's a “must do” if you go. We went to the Hohensalzburg Fortress. I could not wait to get to the top to see the magnificent views of the city. We walked around the rest of the day looking at different monuments and looking at all the goodies that the street venders had to sell. The next day we went to, Eagles Nest (used as Adolf Hitler’s compound during World War II). I was itching to get there too. I don't get to see snow very often and with such a beautiful landscape of Austria and Germany, I couldn’t get there fast enough. I took so many pictures from up there. When I got to the top, I just looked around and took a deep breath of the clean air and was just in awe of what beauty God has made. I stopped for a moment and thought of my husband. We do everything together and how I wished he was by my side at that very moment. He would have put his arm around me and told me something silly like "your more beautiful" or would have kissed me and said “well, I have now kissed you on a snow capped mountain in Germany.” lol. I love that man. But we both would have appreciated how lucky we were to have been there. On the way back to our hotel we made a stop in a cute little down called Berchtesgaden in Bavaria. We had a wonderful lunch at a cafe. We sat outside and enjoyed the people and just the fact that I was sitting outside at a little cafe in Bavaria. That was so cool. That night we went to the famous Mozart Dinner, where your dinner with accompanied by musicians playing Mozart’s music. We had a great time. Met a lot of interesting people. Met some lovely couples. People from all around the world. The music was wonderful, the ambiance was romantic. My friend Emily and I had a good time getting to know our fellow table mates and enjoyed a lovely evening of music and wonderful food. The following day was our last. We spent most the day walking around the city of Salzburg and trying to get in every site we could. There was so much to see, we still didn't get everything in. But we tried. Our last full day was on a Sunday, and usually I would be at church singing in the choir. The Lord just seemed to know that on that day, that church is where I needed to be. I found myself sitting in St. Peter's, the most beautiful church I have ever had the privilege to see. When I went through the doors, I had a sadness on my heart and then I heard them. The choir was just “a- sangin”. It was the most beautiful sound. I sat down. The service was in German but I did not need to understand to know that God was talking to me. It was the most wonderful experience and it was just between me and the Lord. I walked out of those doors a much stronger woman. That evening, we got dressed up in our fancy duds and headed for the opening night of The Sound of Music. I had bought a pair of 6" heels for the occasion, not thinking, I don't normally wear heels much less 6" heels. I had a heck of a time walking through the gardens and down the street. It turned into a bit of a joke for my friend to let everyone know that I was not use to wearing heels like that since I was from Alabama. We don't normally wear shoes. lol. I was told the following morning by Mr. Sam Vonn Trapp himself that he could fully understand and got a good chuckle out of it too. We walked into the theater lobby and there were people everywhere. Wall to wall. I was looking for Mr. Bert Fink (Senior Vice President of Communications of Rodgers & Hammerstein). During intermission I spotted him. The orchestra was tuning up and it was time to get back in our seats, so I figure I would catch him at the end. The Musical was fantastic, very emotional for me. My mother introduced The Sound of Music to my life as a child. She had the LP and we would listen to it every chance we got. And every time it came on TV we were glued to it. My mother would always sing along and I wondered if I would ever have a voice that was a pretty as hers. If it hadn't been for my mother’s love for the Sound of Music, I don't think I would have appreciated it as much as I do now. Her favorite song in the Musical is "Climb every Mountain". When she sang that song, tears just came running down my face. I thought of my Moma and how she would have loved to have heard her sing. It was a tender moment for me. There was a lot applause when the Musical was over but the audience roared when the real Von Trapp family came out on stage. It was a great moment! After the play, I did manage to track down the wonderful Mr. Bert Fink and I introduced myself to him. He was so kind and welcoming. We went next door to the Marionette Theatre for the after party. Mr. Fink tried very hard to introduce me to as many people as he could. Between my high heels and being shy I just sat back and watched and kept telling my friend Emily, this is so and so and who this and that person was. I did get to speak with Wietske Van Tongeren (Maria). Such a beautiful, sweet person. We spoke for a moment and then she was swept away for the after party introductions. Emily and stayed and just watched all the after party festivities, and had a lovely walk back to our hotel through the gardens one last time. With my shoes in hand this time I walked through Mirabell Gardens at midnight barefooted in about 35 degree weather. And loved every minute of it! The next morning was our last. We woke early and met with a Vice Mayor of Salzburg and Sam von Trapp. It was a wonderful experience. I am so blessed that these very important people took time out of there day just to say hello to me and my friend. It was such an honor and privilege to be able to talk to Mr. von Trapp. He had a delightful smile that made you feel warm and welcomed. We were soon whisked off and back at the airport. Our trip to Salzburg was ending. I was so sad to leave but so ready to see my husband and children. I have to thank Panorama Tours, Rodgers & Hammerstien, Melanie Hintermaier for all her hard work in getting everything together for us. It was wonderful to speak with Melanie while I was there. To Bert Fink for being a wonderful Host and giving me such wonderful tips. And Dana Siegel for making all of this happen. Dana, I thank you for being so kind to me and helping me through this wonderful experience, with my silly questions that you answered without laughing at me once, I thank you. And your patience with me doing this blog is greatly appreciated. Thank you to everyone that had a hand in the contest and or getting me and my friend there. This has been a trip that I will never forget and I will cherish for the rest of my days! Thank you, Thank you, Thank you! Everyone. And God Bless All Of You! 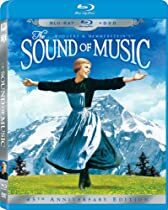 *Nichole Gordy was the winner of a R&H contest in celebration of the 45th anniversary of THE SOUND OF MUSIC film and the release of the first Blu-ray and Blu-ray collector's set. This trip was made possible by Panorama Tours, Salzburgerland,Sheraton Salzburg, Salzburg Stage of The World, Lufthansa and The Salzburg Landestheatre. Thank you to all of our sponsors. The banners and billboards appeared all over Salzburg, Austria: "Das Erfolgsmusical Kehrt Heim" -- "A Hit Musical Comes Home." 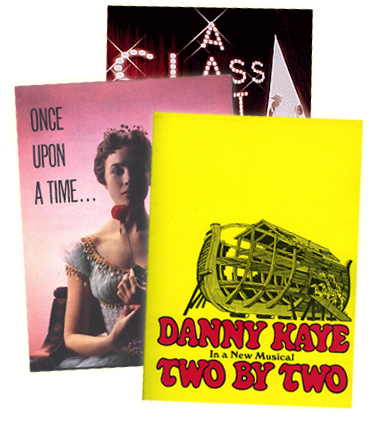 What Is It Like to Sail Away With Broadway on the High Seas? Oh! What A Beautiful Movie! Historic Restoration for the film OKLAHOMA! WHY THE SOUND OF MUSIC? Let's Hear It For The Girls! The Sound of Music on Oprah Oct.28! Introducing the County College of Morris Phantom Blog! The Sound of Music has over a 1/2 MILLION fans on Facebook! Happy Birthday Oscar Hammerstein II! The Sound of Music in Salzburg - Grusses aus Salzburg! Spain Embraces "THE SOUND OF MUSIC"